I have a little obsession with organizing. I love putting things in bins, containers, compartments, you name it. Having recently moved, I've got a whole new space to organize all my makeup and beauty products. I've been pretty practical with my storage and organization, but I love incorporating decorative pieces that serve a purpose too. What better way to add a bit of interest, than with a unique and gorgeous brush holder! Giving Glitter has an entire array of products you can give as gifts, use as decoration, or put out on display for organizing your special space. If you read some of my holiday posts, you know I've been loving gold lately. 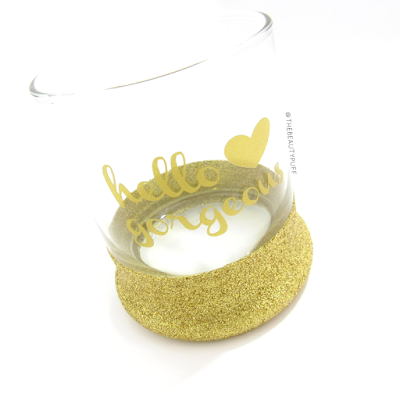 No surprise then, that I fell in love with this stunning gold glitter brush holder! The best part is, you can choose the color for the design as well as the color for the glitter. You can mix and match to have the piece coordinate perfectly with your living space. I love how sleek and versatile this holder is. 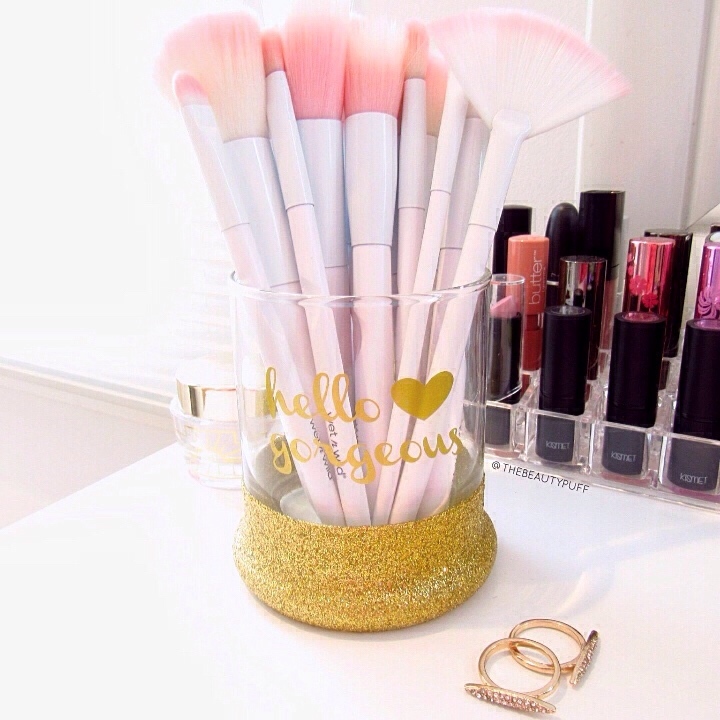 While I am choosing to use it for my makeup brushes, you could really use it for anything including organizing your desk. I think it adds just the right amount of sparkle and interest without going overboard. The clear glass can show off the contents and can easily be cleaned with just a slightly dampened cloth. These brush holders make the perfect gift for the makeup lover in your life! Birthdays, holidays, you name it! It's a thoughtful and customizable piece they'll love for years to come. Interested in other products from Giving Glitter Co? They have even more items such as glasses, cups, jars and mugs. Check out the entire selection below!